As we have seen over the course of the exhibition, Shakespearean texts were continually interpreted and re-written for different audiences, in different media, often with radically different conclusions drawn by author or artist. 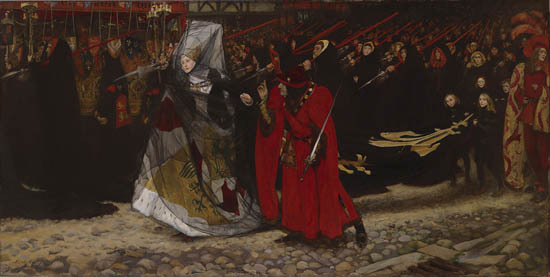 The Yale University Art Gallery has highlighted one example of this process in a display drawn from their permanent collections, on view through June 10, of the American artist Edwin Austin Abbey’s drafts and revisions towards his final painting of a scene from Richard III. 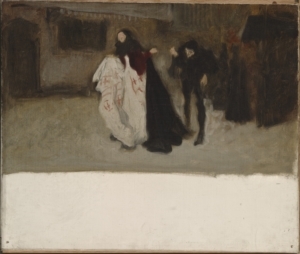 Below, a scene and study towards the portrait.